A reptile is a vertebrate that is covered in scales and breathes air through lungs. Reptiles can be divided into three major groups: crocodiles, lepidosaurs (snakes and lizards), and turtles. Of the three, live birth is only seen in lepidosaurs. Even among lepidosaurs, most lay eggs that hatch into young, but there are a few lizards and snakes that give birth to live young. Reptiles that give birth to live young can be divided into two types: viviparous and ovoviviparous. Viviparous vertebrates are animals that retain their fertilized eggs in their reproductive system until the developing offspring are ready to be born. In viviparous reptiles, eggs mature in the animal's oviduct until they emerge as smaller versions of the adult. Egg-laying reptiles typically lay their eggs once the embryos are nearly one-third of the way through their development. Viviparity is beneficial in the sense that it keeps predators from eating developing eggs -- however, it places a higher physical demand on the female reptile. Viviparity is more common in snakes than in other reptiles -- occurring in 14 families of snakes and 20 percent of species. Nine nominal families have both egg-laying and viviparous snakes. 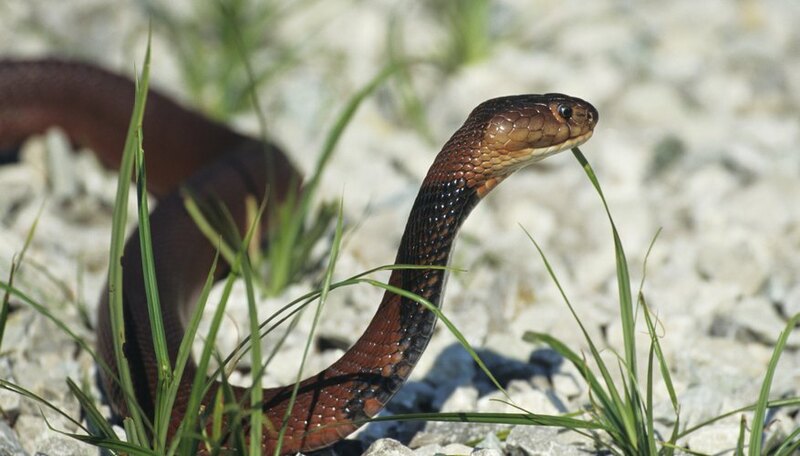 From sea snakes to garter snakes, viviparous snakes live in a variety of ecosystems and come in a range of sizes. 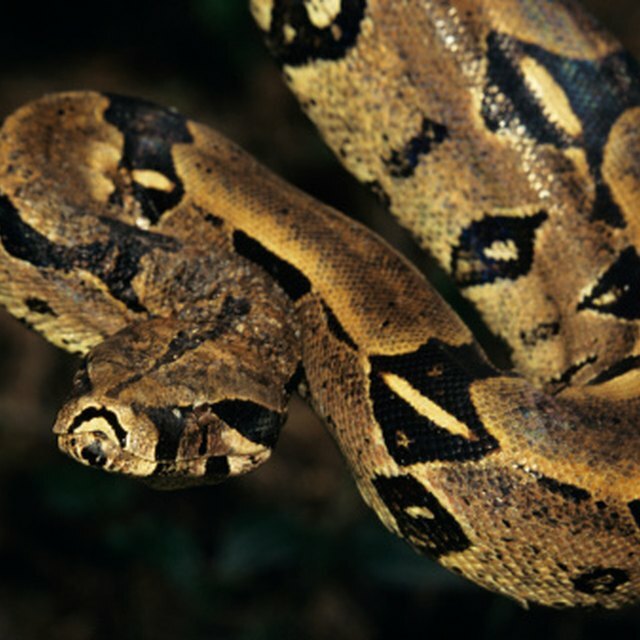 Other live-bearing snakes include boas, pit vipers and spitting cobras. Viviparous reptiles that are not snakes are less common; in fact, only a few are known, including two kinds of leg-less reptiles called skinks, the viviparous lizard and night lizards, a group of enigmatic lizards found in the southwestern US and Central America. Ovoviviparous animals are a sub-type of viviparous animals that also develop their fertilized eggs inside the reproductive tract. The difference is that the young hatch from their eggs inside the mother, then emerge into the world after this internal hatching. In addition to a few reptile species, several species of amphibians and fish, such as the sand shark, are born this way. Slow worms are leg-less, ovoviviparous reptiles that live in the United Kingdom. Because slow worms develop inside their mother's body, they are shielded from the temperature extremes found in Great Britain. The antenatal anaconda is an ovoviviparous snake that lives in the swamps of northern Argentina. When a female anaconda has young snakes developing inside her, she must maintain the ideal internal temperature. She will typically give birth to anywhere between 15 and 40 young. Each snake baby is completely independent after birth. Smith, Brett. "Reptiles that Give Live Birth." Sciencing, https://sciencing.com/reptiles-give-live-birth-8059548.html. 25 July 2018.